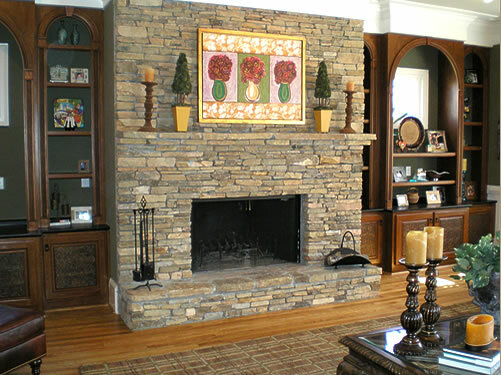 The beauty of this home is the use of finely crafted organic materials . 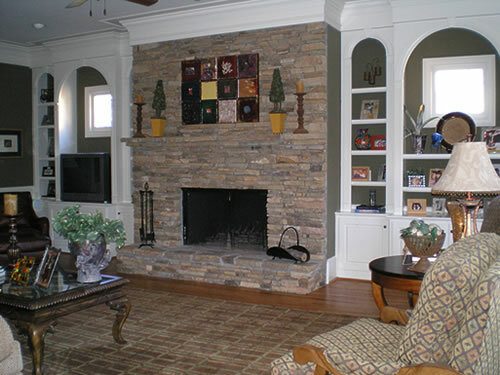 . . stone on the mantel, wood on the floor and wonderful textures in the fabrics. 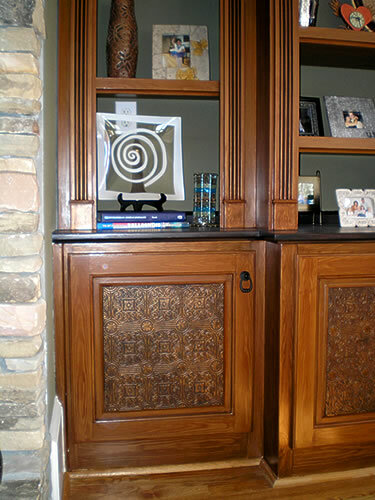 Even the book cases reflect attention to detail for the craftsmanship that has been incorporated. But the one element that doesn’t fit is the fact that they are painted white. The harsh contrast of white on the book cases was not consistent with the feeling throughout the rest of this home. 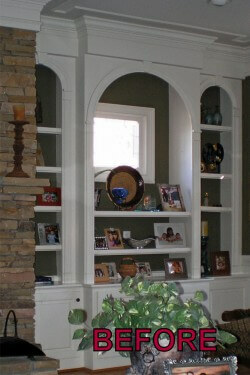 Since the quality and interesting architecture was already good, the obvious option was to paint the cabinets. A faux wood grain technique (faux bois) was applied in rich deep tones just slightly darker than the floors. 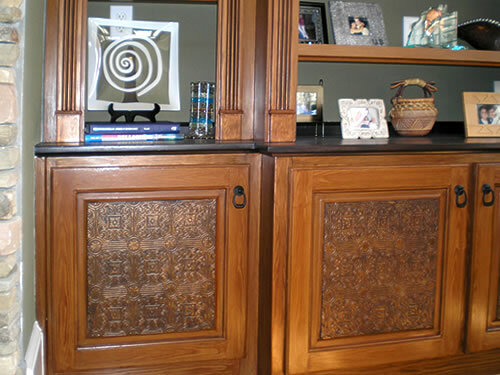 Another touch of decorative artistry incorporated a raised detail on the inset of the doors and was painted to appear as iron. 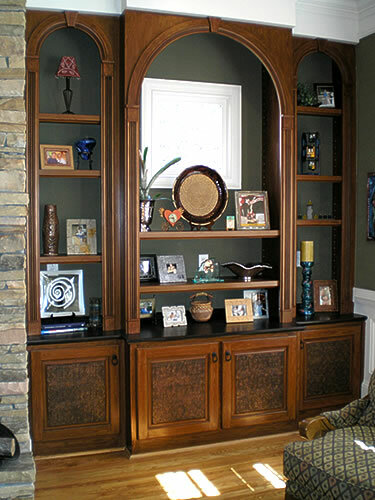 This added an element of surprise that makes these cabinets beyond ordinary. 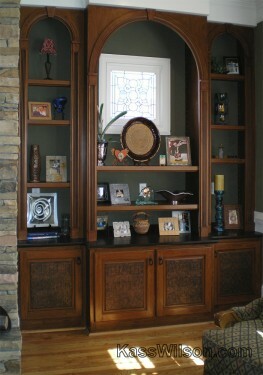 The richness of these bookcases now gives the impression of quality, becoming a timeless design element in this space . . . transformed from Rags to Riches.